Alove Creations turned my kid into a superstar! 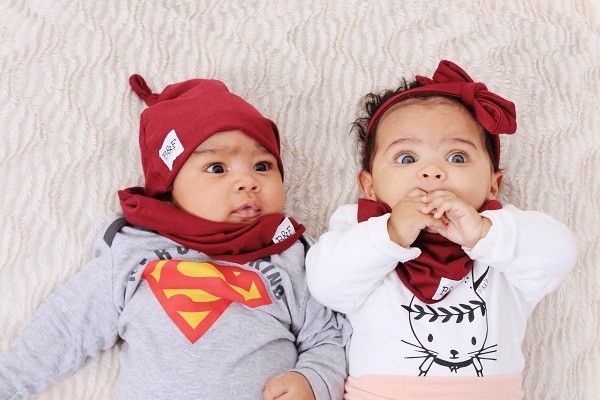 The Blessed&Favored collection has a range of baby and kiddie accessories that are totally rad! 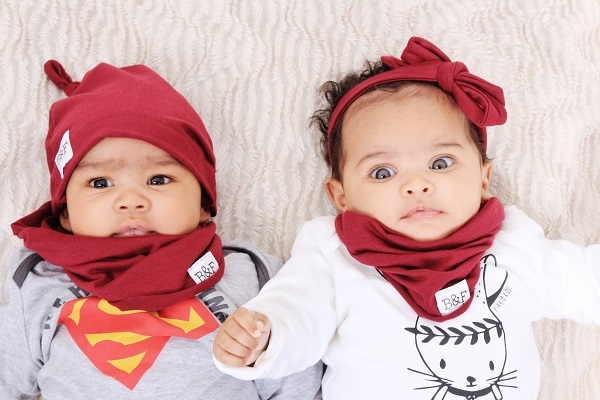 My absolute fave are these snood and head band/beanie sets. Jonah and Ava did such a good job modelling these, don’t you think? I loved the look so much that I had to get a matching set for Kari and I. All the Alove Creations snoods and head gear is made with a chunky knit fabric and I love that the snoods are extra length. Aint nobody got time for short snoods, yo! I am also a big fan of these ultra trendy swaddle sets. The set consists of a swaddle blankey and matching head gear. 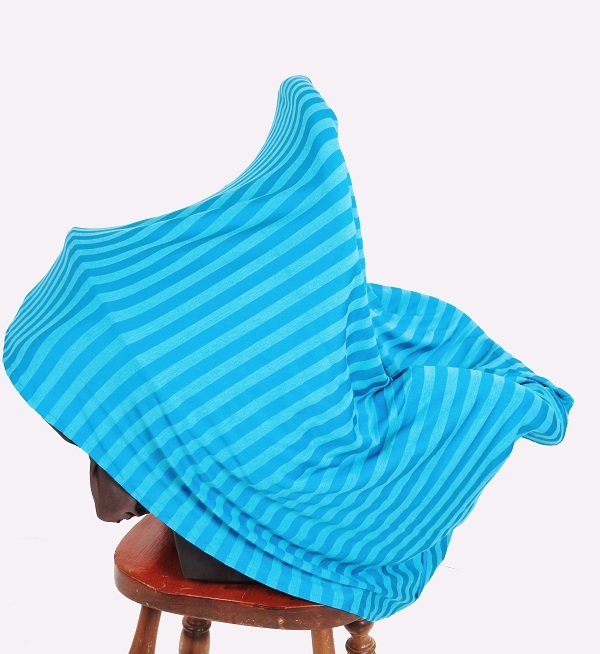 I’ve actually been using the swaddle blankey as a breastfeed cover as well. It’s light weight and easy to wrap your baby in, plus it makes you feel like a fabulous Beverley Hills mom. I mean, winning already, right? 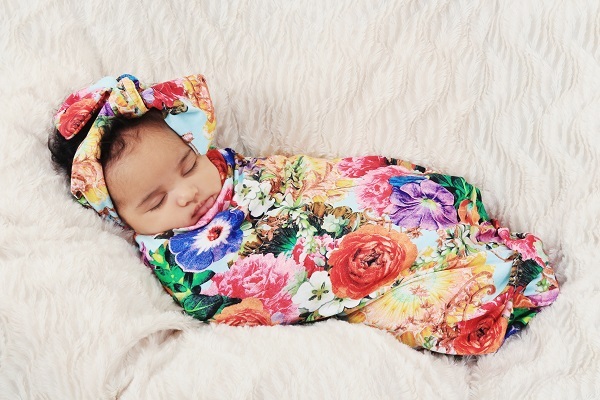 I’ve never really been a fan of the swaddling concept until I saw how soundly it made my baby sleep. Little ones feel safe and secure, when swaddled. 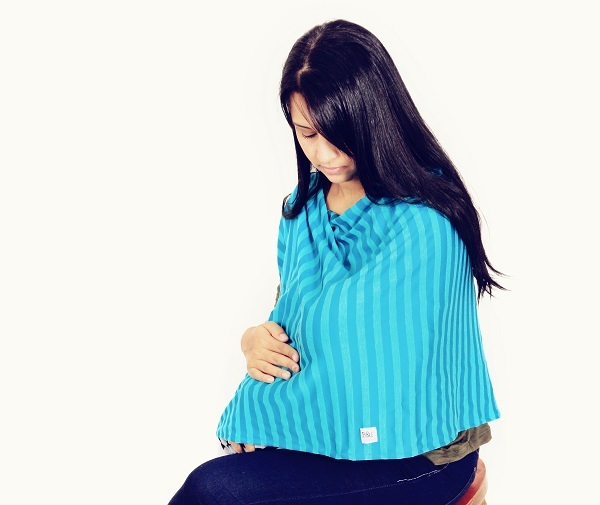 So this breastfeed cover is a (yep, you guessed it) discreet nursing cover, trendy pram cover, clever car seat cover and you can wear it as a top! Actually, I don’t know if the last one is a thing but I’ve totally been wearing the black one as a top. Yes, I’m that person. But also, it’s that versatile! Check it out, This is the perfect baby shower gift! There are a bunch of other cool baby accessories in her collection such as wooden teethers and trendy pacifier clips. These are hand made and come in a range of amazing colors. Very, very cool. Bonus feature: Your tiny tots fingers will have a ball of time exploring the grooves of these wooden beads. But hey, don’t take my word for it! I want to give a wooden beads teether/pacifier clip away to one of you amazing readers. LOL can’t i gift it to myself. Baby on the way and This sounds like such a lovely accessory to have. Well, how about that, what are the chances that your name was randomly selected! Congratulations! Oh my soul. How am I only seeing this now? I would gift it to my sister, and I just know she’d gift it right back for my baby when her Ellie doesn’t need it anymore. I will need this once baby is born ☺ New baby on board yay!!! Tobeka my colleague will love this , will definitely gift it to her !